There are 506 districts, 2,392 public schools, and 174 charter schools in Minnesota serving 839,738 students. 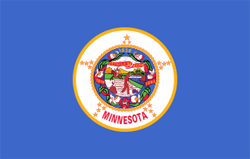 Financially the state of Minnesota spends approximately $13,053 per student. There are 52,832 full-time teachers receiving a total of $4,026,985,258 in salaries and $1,258,415,565 in total benefits. 249,669 students receive a free lunch and 61,976 receive a reduced-price lunch.